In Rhode Island we use the word “wicked” as a way to say very, or extremely. But I don’t think Tracey Ryan had that in mind when she wrote her book Wicked Game of the Hunter. I think she meant it literally, that someone is playing a game with main character Emma Sharpeton, and man is that game wicked. Tracey Ryan’s book is a first in a series. I was kind of wondering when it would be revealed who is stalking Emma when I was reading along and got to 80-90%. 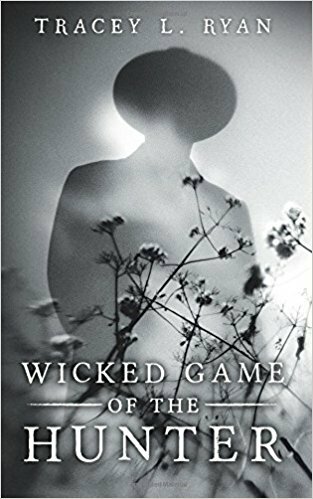 At this point I realized that Wicked Game of the Hunter is the first of a series, and now I need to read the next one when it comes out. Wicked Game of the Hunter has a bit of everything. There’s romance: Emma gets a blast from the past when her teenage flame Logan Ares comes back into her life as they are adults. We learn that Logan was sent off to boarding school, and they were denied each other. There’s mystery: someone is sending Emma nasty messages, and we don’t know who it is, and the person we think is doing it is dead. So, who the heck is it? And then there’s the thriller aspect: the person who is threatening Emma is downright dark. Tracey Ryan did a great job balancing the romance-mystery-thriller, and she even throws in a few funny moments to lighten things up here and there. I am so looking forward to reading the next installment!